PIERRE DESROCHERS is an associate professor of geography at the University of Toronto. He is the author of over 40 peer-reviewed articles on topics ranging from economic development and globalization to energy and transportation issues and is affiliated with numerous policy research centers. Pierre has always made an effort to reach a broad audience through his over 100 columns and shorter pieces and regular contributions to various media outlets. He maintains a detailed website at http://epsem.erin.utoronto.ca/desrochers His unique strength as one of the most well-known critics of the locavore movement is his knowledge of a broader set of issues than other critics who have attacked only one facet of this movement. HIROKO SHIMIZU was trained as an economist in one of Japan’s premier universities. She holds a Master’s of Public Policy from University Osaka. She has studied and worked at several academic institutions and private companies in Canada, Japan, China and the United States. She has also travelled worldwide to over 30 countries. Based on her international experiences and observations, she describes her policy approach as “applying global common sense” to politically correct but ultimately mistaken ideas. She has been published in three languages (Japanese, English and French) in both the academic and popular literature. Today’s food activists think that “sustainable farming” and “eating local” are the way to solve a host of perceived problems with our modern food supply system. 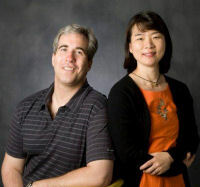 But after a thorough review of the evidence, Pierre Desrochers and Hiroko Shimizu have concluded that these claims are mistaken. 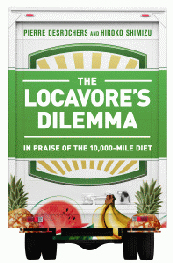 In The Locavore’s Dilemma they explain the history, science, and economics of food supply to reveal what locavores miss or misunderstand: the real environmental impacts of agricultural production; the drudgery of subsistence farming; and the essential role large-scale, industrial producers play in making food more available, varied, affordable, and nutritionally rich than ever before in history. They show how eliminating agriculture subsidies and opening up international trade, not reducing food miles, is the real route to sustainability; and why eating globally, not only locally, is the way to save the planet.